You have options to decrease the chances of being in a car accident if you are a senior. Although it might seem like discrimination, there are reasons that senior citizens face extra scrutiny when they have their license renewed or restricted. 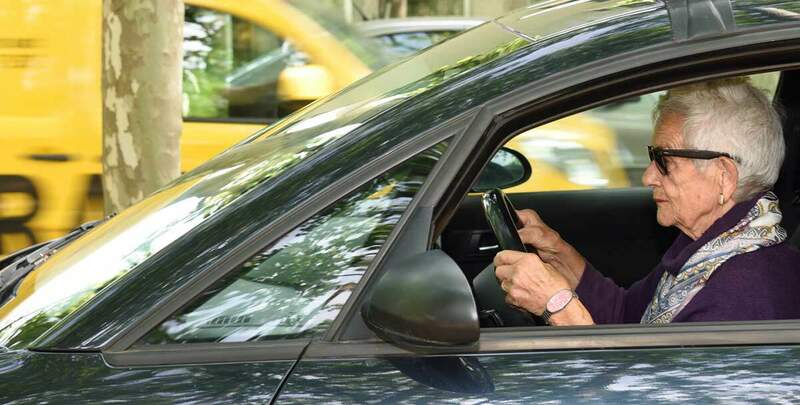 Things like slower reaction time and diminished visual acuity are reasons that some elderly people might be more prone to having a car accident. Also, when they are involved in accidents, the injuries are more likely to be extensive and much more severe. Statistics indicate that people over the age of 65 are more than 17 times more likely to lose their life due to a car accident than younger people. The good news is that you have options to decrease the chances of being in a car accident if you are a senior. To increase your mental acuity and reaction time, there are things you can do when behind the wheel and in daily life, to make your driving behaviors safer when you are out on the road. Remaining active is not only the key to health and longevity, but it might also make you a safer driver and reduce your chances of being severely injured if you are in an accident. When you remain active, you retain your flexibility and strength, which helps to improve your actions when in transit. If you have chronic illnesses like diabetes or cardiac issues, then managing your health becomes extremely important. Managing your chronic condition can reduce issues with visual strength and neuropathy, which can make it difficult to drive safely. Make sure to have regular hearing and vision tests to ensure that you are hearing and seeing as well as you should be. Things like cataracts, macular degeneration, and glaucoma can all distort your vision when you are driving. If you have a hard time seeing at night or there is inclement weather like heavy rain or snow, it is best to wait it out or ask someone for a ride. Although you want to be independent, you also want to be safe and ensure the safety of other drivers on the road. If conditions aren’t right, wait until they are (if possible). The Department of Motor Vehicles often offers refresher courses to seniors who want to sharpen their driving skills. Not only will taking courses to help you to improve your driving skills, but it will also help you to renew your license without problem or having a fight on your hands. Seniors present a specific risk for car accidents, and especially car accident fatalities. To save yourself from being injured make sure to be careful, know your limitations, and stay up to date with your vision, health, and hearing. If you are in an accident in Missouri and are injured, make sure to have the protection of a St. Louis car accident attorney to walk you through the complexity of handling your car accident lawsuit or settlement. Call The Hoffmann Law Firm, L.L.C. today at (314) 361-4242 or Fill Out Our Online Case Evaluation Form.